here at the time of the 1911 Census. 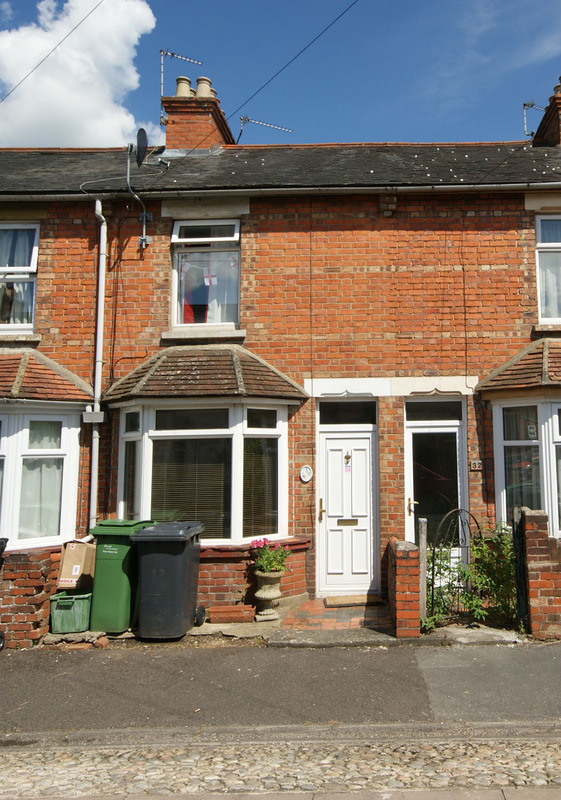 Prior to John's death the family lived in a cottage in Mayor's Lane. Harry was born in Newbury on 29 October 1896 the son of John Shaw and his wife Kate née Jessett. John was a coalman and was considerably older than his wife (by 30 years). Kate may have found herself settling for marriage with a man from another generation because she had the misfortune to have a child out of wedlock – Frederick Jessett, born 2 October 1884. John and Kate married in 1888 and their family soon began to grow; Edith Kate was born on 7 August 1889 followed by John Watson (31 October 1890), William (27 February 1894), George (1 January 1895) and, finally, the twins Alice and Marion Nellie on 22 October 1901. Sadly Marion died aged only 18 months, but the rest of the children flourished. All of the Shaw children were educated at St John’s Infants’ school in Newtown Road followed by St Nicolas’ National School until they were 14 years old - apart from Alice who moved from St Nicolas’ to St Joseph’s when she was 12. This was a strange move – from a Church of England to a Roman Catholic School at an age when she could simply have left school (school leaving age was 12). In 1909 John died aged 78 leaving Kate with a young family, but most of the children were still living at home and the eldest were working, no doubt helping with the family budget. Harry left school the following year and worked as a Gordon Boy. Gordon Boys in Cheap Street ca1911. Harry was working as a Gordon Boy at that time, perhaps he is one of the lads pictured? The Gordon Boy organisation was run on pseudo-military lines and gave employment to young lads who could not find more stable jobs. The uniformed boys would do small jobs, run errands and take messages for anyone who needed occasional assistance in this way. When war was declared in August 1914 many young lads like Harry enlisted, despite being too young to serve overseas (the Army rules were that a man had to be 19 before he could be sent to fight). However, Harry, did not take this course of action, he waited for over a year (his mother was paid a war gratuity amount that suggests he enlisted in October 1915) before volunteering to serve in the Hampshire Yeomanry, known as the Hampshire Carabiniers. 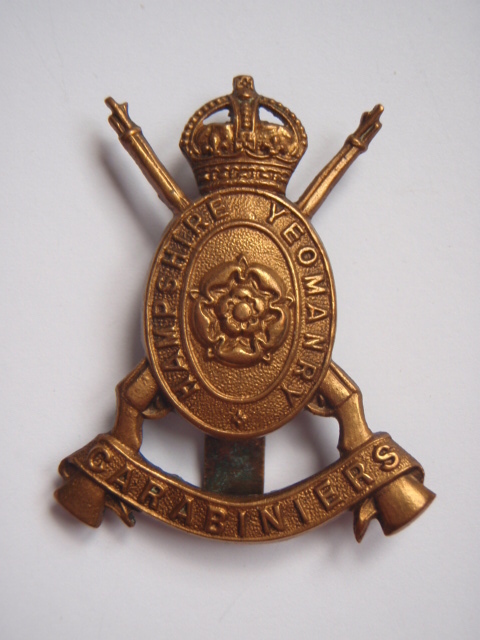 This was a Territorial cavalry unit (Harry’s elder brother, John, was already serving with the Berkshire Yeomanry) - John’s example may well have been the reason for Harry’s choice of a yeomanry regiment. The timing could well have been influenced by the growing realisation that conscription would soon be introduced after which recruits would be unlikely to get so much, if any, choice as to where they served. October 1915 was also the month of Harry’s 19th birthday. It is possible that he signed up together with his brother George, who served in the same unit. After training Harry was sent to France, either when the 1st/1st Hampshire Carabiniers went as a unit in June 1916, or as a replacement in the ensuing months. In France the regiment was mainly used as XI Corps cavalry – but Harry did not stay with the regiment; at some point he was transferred to the infantry, specifically to the 15th (Service) Battalion, Hampshire Regiment. Shortly after his death the remaining 1/1 Hampshire Carabiniers were transferred en masse to the same battalion. Creslow. Billets in CRESLOW. “A” Coy shelled out of billets in TOUQUET BERTHE, barn there destroyed by fire & RE dump destroyed (no casualties). However, his place of burial does give a clue – he is buried in grave number XII.H.16 in Enclosure No.4 at the beautiful Bedford House Cemetery south of Ieper (Ypres). Ploegsteert Wood. Occupation of front line. 1 casualty (wounded). One can only conjecture as to how he was wounded – an enemy shell, a sniper’s bullet, an accidental discharge of a comrade’s rifle; it is unlikely that we will ever know. SHAW – June 7, 1917, killed in action in France, Pte Harry Shaw, the dearly loved fourth son of Mrs Shaw, and the late Mr Shaw, of 3, Mill Lane, Newbury, aged 20. – Greater love hath no man than this, that a man lay down his life for his friends. SHAW – In ever loving memory of our dear son and brother, Harry, killed in action in France June 7th, 1917. – Gone from our home, but never from our hearts. From Mother, Sisters, and Brothers, Will and George. 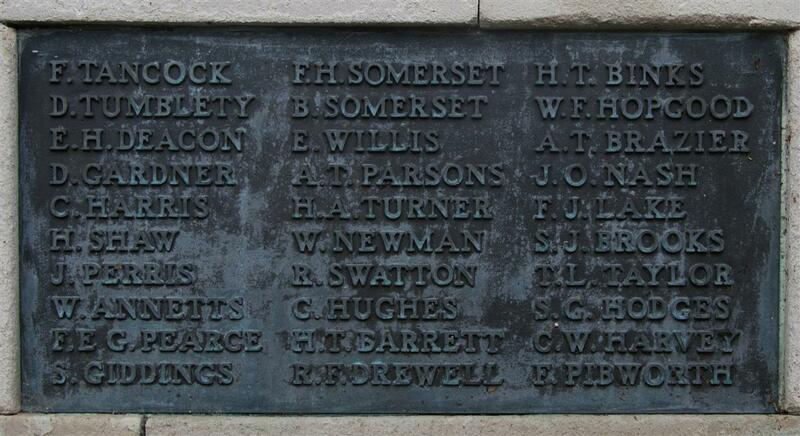 Locally he is remembered on Tablet 13 of the Newbury Town War Memorial and on the memorial to the fallen members of the Newbury Congregational Church now located in Newbury Town Hall. Harry’s brothers John, George and William were all of an age to serve during the war – voluntarily of through conscription. John is listed in the Active Service Roll printed in the local paper from the start of the war until spring 1916 (after the introduction of conscription the Roll’s prime purpose was to encourage enlistment). John appears in the Roll from early 1915 as serving in the Berkshire Yeomanry. A John Shaw who served as Trooper 1872 was invalided out of the army on 2 September 1916 through sickness, quite possibly a disease picked up in the regiment’s short stay on the Gallipoli Peninsula in late 1915. 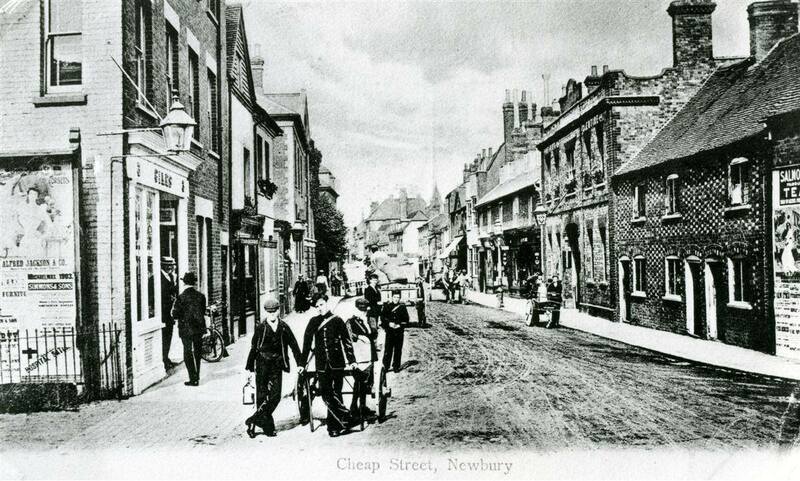 He lived out his life in Newbury dying there in 1953, aged 63. George appears in the Roll at the same time as Harry, both being listed as serving with the Hampshire Carabiniers. 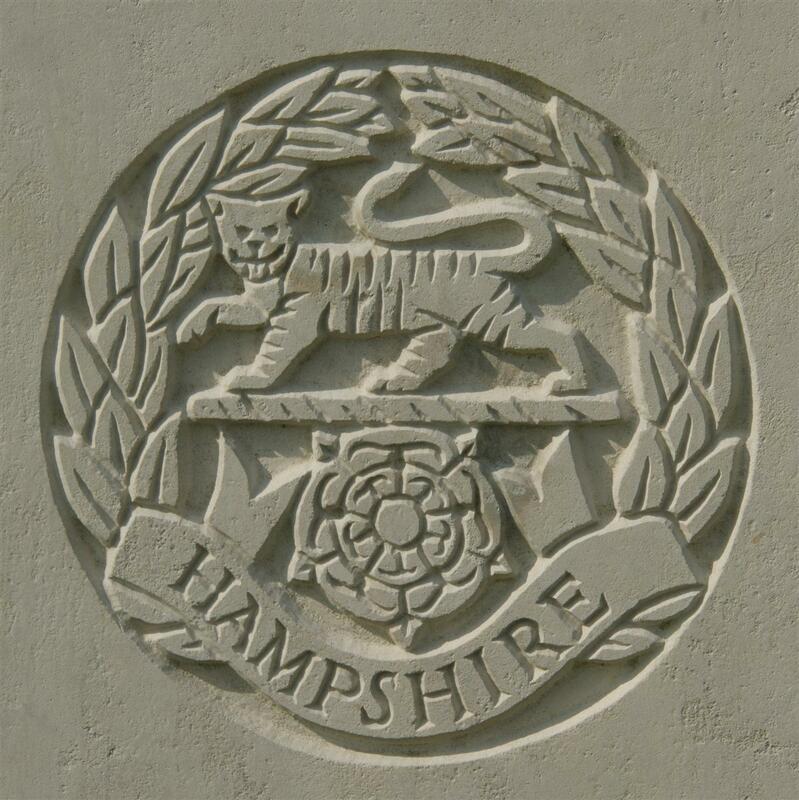 Odds are that he, like Harry, was transferred to an infantry unit, very possibly the Hampshire Regiment; sadly the loss of most service records in a fire in 1940 means that it is not possible to tell for sure. William would have been conscripted unless he was unfit or in a reserved occupation – but his name is so common that it is impossible to trace his service.